WASHINGTON, DC—Under the federal Every Student Succeeds Act (ESSA), which replaced the No Child Left Behind Act, states received flexibility to chart their own path to educational success, but they must submit a plan to the U.S. Department of Education explaining how they will reach these goals. So far, sixteen states and the District of Columbia have submitted their plans with the remainder due in September. To provide a quick reference guide of strengths—and shortcomings—for each state’s plan, which in some cases are hundreds of pages long, the Alliance for Excellent Education today released the first five in a series of dashboards. Dashboards for Colorado, the District of Columbia, Illinois, Louisiana, and New Mexico are available at https://all4ed.org/essa/essa-in-your-state/. 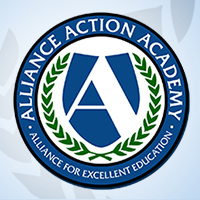 In July, the Alliance will post dashboards for Arizona, Connecticut, Delaware, Maine, Massachusetts, Michigan, Nevada, New Jersey, North Dakota, Oregon, Tennessee, and Vermont. In the interim, reporters with questions about those states’ plans should contact Jason Amos at jamos@all4ed.org.